Routegadget displays the event map. You can draw your route and view the routes taken by other teams. If you are having trouble reading after you got home from this event, I have a selection of three single focus prescription glasses. Also other items. 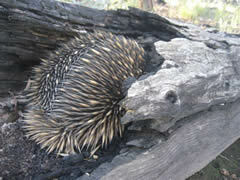 This year's Spring Rogaine ventured back to the Goulburn River National Park near Ulan. This park was last used for the 2007 State Champs. The section of the park used this time has some of the classic features of this area and had not been rogained on before. The features included impressive sandstone bluffs, interesting cave and rock weathering, magnificent broad tracts of the sandy Goulburn River, and generally open eucalypt forest. The 24 hour event incorporated the NSW	Championships. Read an interesting preview by Dug Floyd. View photos taken by the course setters. The start and finish time for the "15 in 24 hour" event are the same as for the 24 hour, midday Saturday and midday Sunday. The difference is that in that period you have to spend at least 9 hours at the Hash House. When you do this is your choice. The map and course are the same as for the 24 hour.